There are restaurants. And then there are restaurants you’d shell out hundreds of dollars just to experience. Michelin stars are a coveted honor bestowed upon a select few establishments–la crème de la crème. They are awarded only after a Michelin-appointed inspector dines anonymously and deems a restaurant “worthy of a visit.” The level of secrecy guarding the identity of these reviewers is on par with FBI standards; Michelin reviewers are asked never to disclose their line of work, even to their parents. And so the exorbitant costs associated with dining at a Michelin-endorsed restaurant are understandable. However, visitors to Hong Kong need not resign Michelin restaurants to a bucket list and wishful thinking. 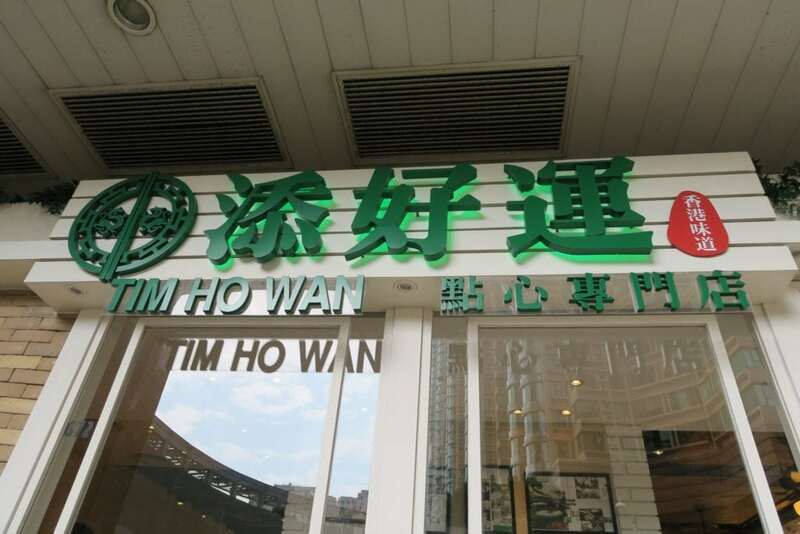 Tim Ho Wan, in central Kowloon, was recently awarded a Bib Gourmand–Michelin’s “star” equivalent for moderately priced restaurants. Nothing fancy…or so it seems. “The reason for its popularity is the twenty different kinds of traditional Cantonese dim sum–made by hand with fresh ingredients–and the reasonable prices charged,” reads the Michelin guide. 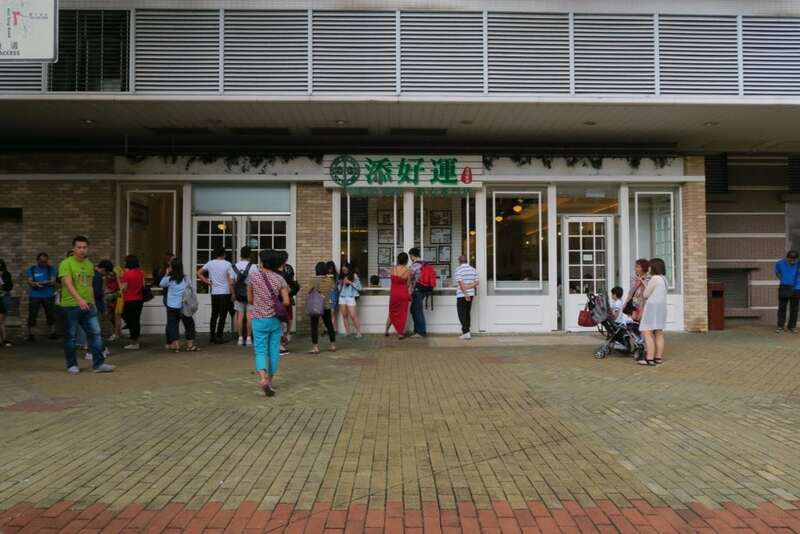 At Tim Ho Wan, time is money–patrons may not need to dig deep into their wallets to afford a meal here, but with no reservations accepted, you can expect to stand in line for at least an hour before the militant hostess barks (her attempt at) your name. Unassuming exterior, but the presence of a crowd speaks for the restaurant. Fortunately, time flies when you’re having fun. 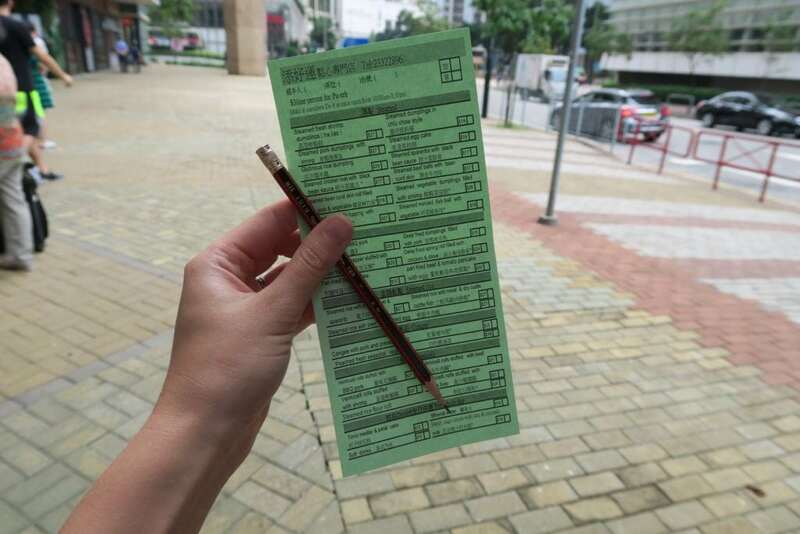 And while you wait in line for your long-anticipated dim sum, you have a job to do: decipher the menu and make your selections. 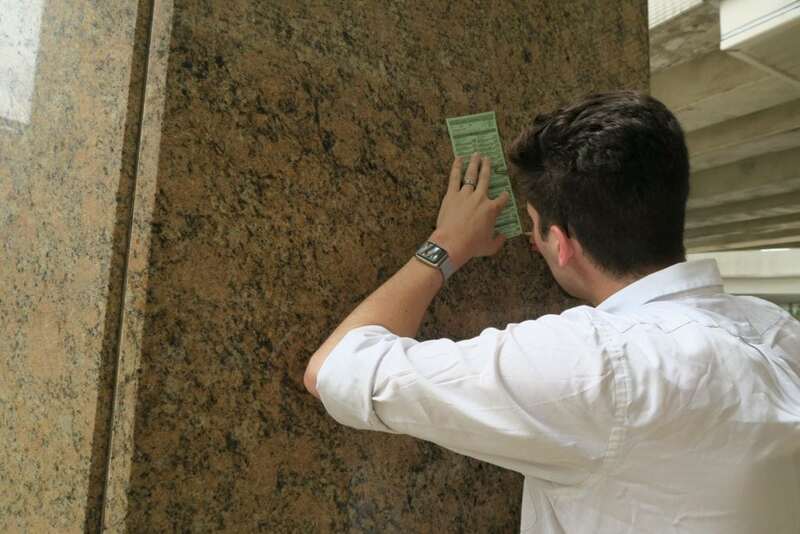 Upon arrival, exchange your name at the hostess’ stand for a slip of paper and a pencil. Unless you’re already a seasoned dim sum-er, you’ll need the long wait to Google every item on the menu and plan the ultimate small-bite feast. Shortcut: go with the restaurant’s renowned pork buns and the picture-perfect prawn dumplings. We ordered second helpings of both. The experience itself is a bit of a whirlwind; it’s a big crowd, a small establishment, and service is not the drawing factor here (or anywhere in Asia, for that matter). Since your filled-out order forms are submitted to the waitress as you’re seated, you likely won’t see her again until she starts delivering dish after dish in a parade of steamer baskets. Something about dim sum permits you to continue eating far past your prime, and before you know it, you’ll be stuffed. 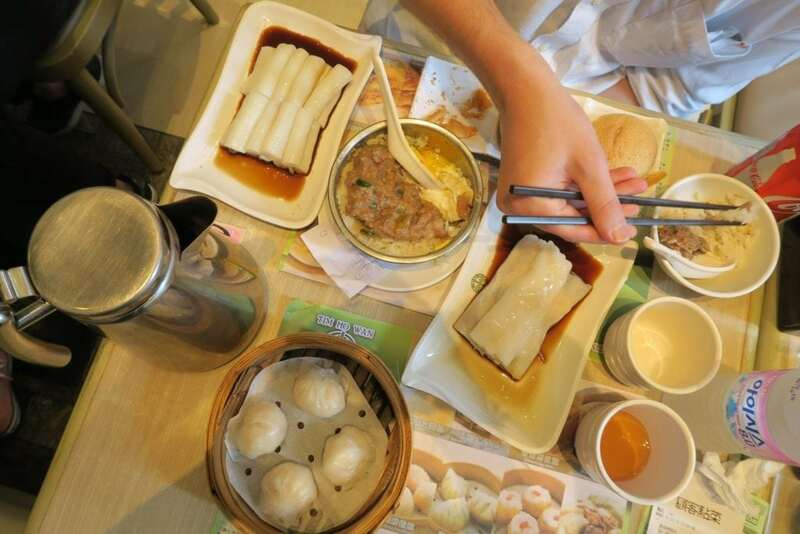 Wash it all down with some hot Chinese tea and you’ll have lived the full yum cha adventure. The fog of mysterious lore around Michelin-starred restaurants finally clears, and you realize: the food isn’t just good, it’s memorable. Fortunately, at less than $5 per dish, Tim Ho Wan doesn’t have to be just a memory. It’s more affordable than most American fast food, and top-secret agents promise it’s way better tasting. Worthy of a visit, indeed.